Managed services to keep you creating, building and transporting. The cogs are turning and you’ve got a job to do. 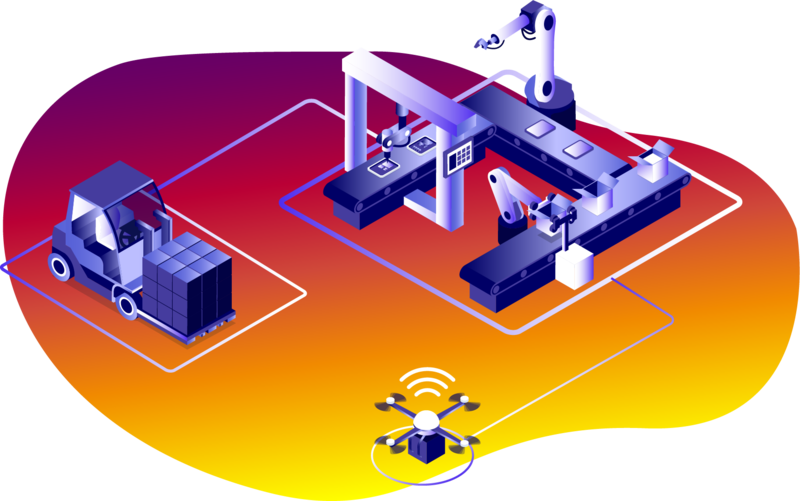 From food to textiles to raw materials, the manufacturing industry is feeds every aspect of daily life and operations simply cannot afford to lose pace. ITEC has 30 years experience providing Technology Managed Services to manufacturing companies across the South West. We create robust technology strategies that ensure optimum performance of your manufacturing business. Nearly half of all manufacturers have suffered cyber-attacks. This vulnerability can potentially be catastrophic to your organisation. ITEC not only provides cutting-edge IT security with excellent firewall protection and email scanning, we perform penetration testing to find the weakest points in your networks and develop solutions for extra protection. By making cyber crime a thing of the past, we drive your business forward. The manufacturing industry once led the way. Factories started the industrial revolution. Henry Ford improved the production line. Technology looks intimidating, develops at warp speed, but with ITEC, you are able to keep up. ITEC teams will install the latest technology at a competitive price and prepare your business for the Internet of Things, cloud computing and print management. All so you can be the best. If you want to be the best, you have to make the best. ITEC provides full Technology Managed Services to give you full support in your technology strategy—reducing the burden of non-essential tasks, giving you more time to manufacture your product and compete on a global scale. ITEC Engineers, remote IT teams and knowledgeable Account Managers work with you to make your life as easy as possible. ITEC delivers several services to our business but the common threads running through every aspect of the partnership are a deep understanding of our business, combined with truly excellent customer service." With the latest SonicWall software and penetration testing, ITEC prepares your organisation for cyber-attacks. We build a digital fortress to protect your network from crafty hackers and protect every access point, even the ones most people wouldn’t see as a threat. ITEC printers come with password protection as standard. Malware? It’s finished. From plans to delivery notices, print is an integral part of the manufacturing industry and a high performing print strategy is vital. ITEC Managed Print Service drives down costs and eliminates waste, saving you money and helping you reach sustainability goals. With an easily accessible portal, 12-hour daily ITEC Help Desk and on-call engineers, we support your business and help you prosper. ITEC takes care of your IT so you can get back to production. The full Managed IT Service see us working with you to create a strategy that supports your business mission, implement all systems, and provide ongoing support 12 hours a day, seven days a week. Connectivity, mobility, productivity and more, we have the experience to deliver technology that drives you to success. From the office to the factory floor, your workers and devices need to be connected. ITEC specialises in mobility services where we carefully construct a Mobility First network for your organisation and roll out WiFi solutions that reach every corner of your operation. We distil your business requirements into an intricate plan, migrate systems and troubleshoot until everyone’s happy. Then you can simply relax in the knowledge that your workers have got the access they need. Technology’s never-ending evolution causes even the latest solutions to soon be out of date. As part of our managed services, we monitor your software and ensure regular updates are performed. ITEC IT Support teams can remotely update your devices, and we run background checks every day to make sure everything is running smoothly. With ITEC on your side, you will have confidence in your technology strategy, safe knowing we keep everything up to date. And the best bit, we grant you access to monitoring portals. What we see, you see. We don’t host and ghost—the ITEC Managed Hosting Services mean we stay with you and protect your data. Your network is backed up in the ITEC Data Centres and you get access to the ITEC Business Continuity Suite, so if the worst happens, you can move into ITEC's Plymouth office and keep business running as usual.